A shark fin racing through the waves will ruin anyone’s relaxing day at the beach. Bull sharks and lemon sharks are two types that inhabit shallow coastal waters where people like to congregate. While they have some similarities, aspects such as habitat, appearance, migratory habits and danger to humans distinguish the two. Both bull and lemon sharks live in shallow water along coastlines, but bull sharks are more widespread. Bull sharks inhabit most of the world's coasts: the eastern and western Atlantic coasts as well as the Pacific coasts. Lemon sharks are found in the Pacific Ocean only from southern California to Ecuador. In the Atlantic Ocean, lemon sharks live from as far north as New Jersey all the way to Brazil, and along the far western coast of Africa. While they both have wide, rounded heads and are of similar size, the coloration of the bull and lemon sharks differ. Along the dorsal side bull sharks are gray, and they have a white underside. They sometimes have faint stripes on their sides. Lemon sharks are named for their yellow color. On top the lemon shark is a yellow-gray, and it is pale yellow underneath. Bull sharks aren't typically migratory, but sometimes they will travel up rivers, like the Mississippi and Amazon, into freshwater. Bull sharks are among the few species of shark that can live in fresh or brackish waters. Lemon sharks are a migratory species, sometimes spotted in the deep ocean, unlike bull sharks. Little is known about exactly why and where lemon sharks migrate, but research is being done to track lemon shark migration. Lemon sharks are sometimes found near the mouths of rivers in brackish water, but unlike bull sharks they don’t swim upriver into freshwater. 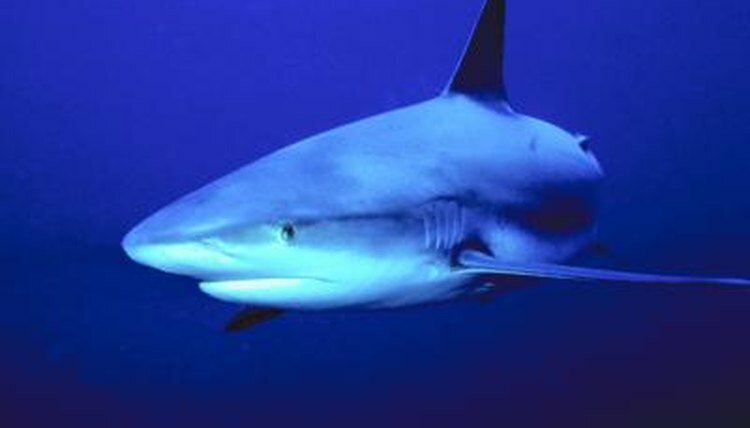 Bull sharks are among those most likely to attack humans. Their aggressive nature and their fondness for both coastlines and freshwater mean bull shark attacks occur more frequently than with most other species. Bull sharks are generally considered one of the three sharks most likely to attack a human, the other two being tiger sharks and great whites. While lemon sharks also like shallow waters, they aren’t as aggressive as their cousins, and lemon shark attacks are rare. According to the International Shark Attack File, no one has ever been fatally attacked by a lemon shark, and only a handful of attacks have ever occurred.